Thomas Feuerstein züchtete Algen und karbonisierte diese in prozessualen Skulpturen. Er fertigte mit der gewonnenen Kohle Stifte an und zeichnete mit diesen die Bilder der Ausstellung. Eine autonome Kunst-Welt entsteht. 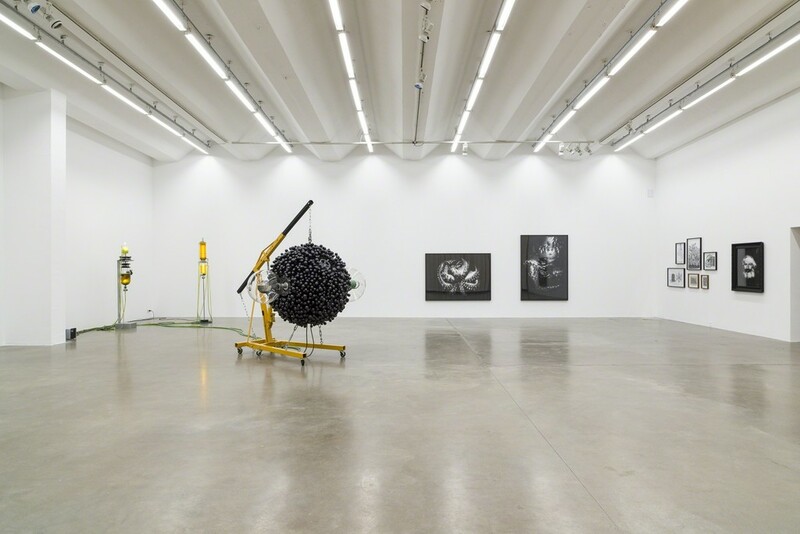 For his exhibition METABOLICA at SEXAUER Thomas Feuerstein will create an autonomous art world. 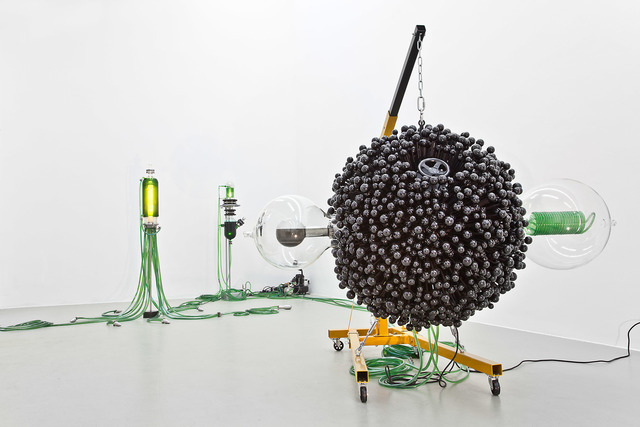 He carbonizes Algae hydrothermally in a pressure reactor – a processual sculpture which is in the exhibition – manufactured for this specific purpose. 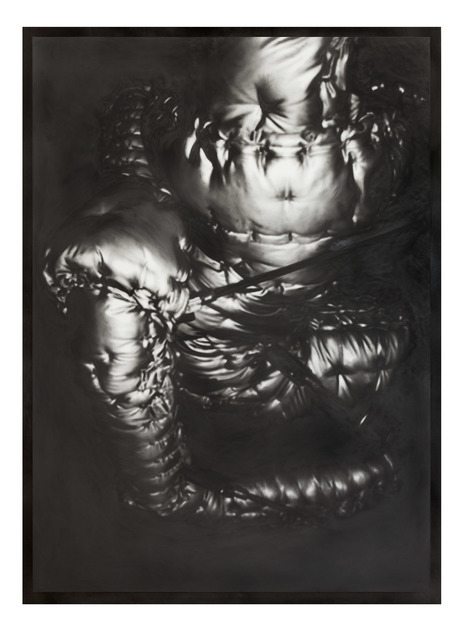 He uses the coal he extracts to make charcoal pencils, which in turn he uses to create the drawings for the exhibition. This procedure also has an economic element: if Feuerstein no longer has algae, he can no longer draw. All resources are finite in his autonomous art world. In another example Feuerstein irradiates a Haematococcus pluvialis (in german: blood-rain algae) – also cultivated in a sculpture – on a picture surface with ultraviolet light. Eventually, the green alga turns red, dries, and finds its final state in the picture BLUTREGEN (blood rain). 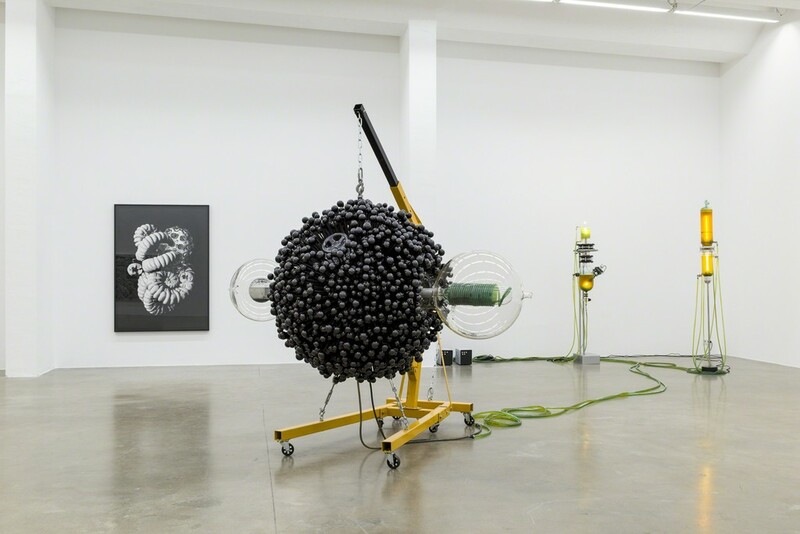 Using biological and chemical processes, Feuerstein thus creates an art world of captivating but also irritating beauty. 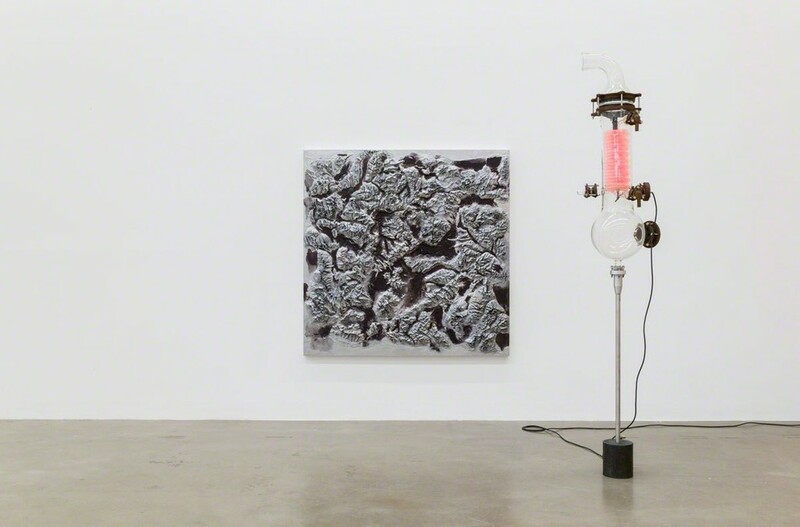 Thomas Feuerstein works experimentally and universally. He refers to cultural history, philosophy, literature, natural science, economics and current scientific discourses as well as religions and science fiction. 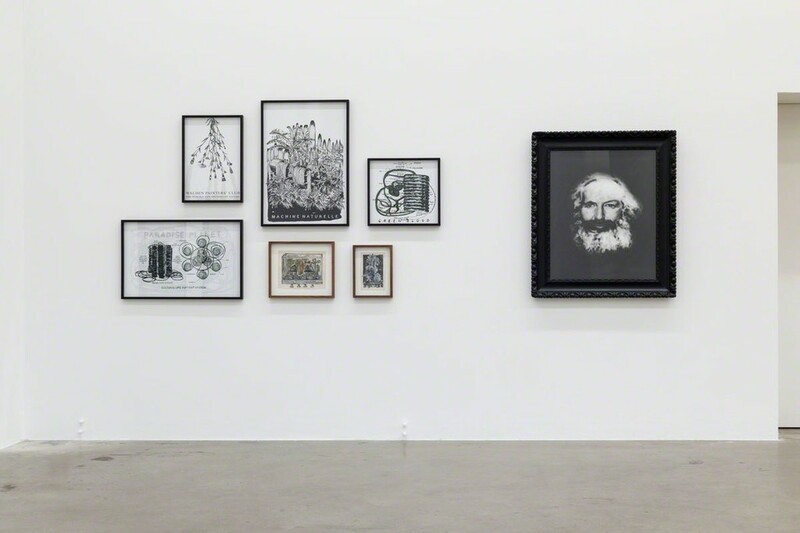 He links ancient Greek thought with the postmodern world, always bringing socio-political questions into his art. His aim is not to illustrate facts, but rather to reflect on the networked world with his equally complex art.